History of a cat or dog bite or other exposure. Pain, erythema, swelling, and drainage at the bite site. Gram-negative bipolar bacilli on Gram stain of the drainage. Culture of the organism confirms the diagnosis. Pasteurella multocida infection, a disease that primarily affects animals, may occasionally affect humans, causing a wide variety of infections ranging from soft tissue infection to bacteremia and endocarditis. Pasteurella multocida has been recovered from cultures of specimens from the nasopharynx and the gastrointestinal tract of a large number of asymptomatic wild and domestic animals. The highest carriage rates occur in cats (50%-90%), dogs or swine (50%), and rats (15%). Infections are usually preceded by a cat or dog bite or scratch on an extremity. Occasionally, infection may occur without a bite or scratch in persons who have frequent contact with animals. Fifteen percent of cases have no history of animal exposure. Pasteurella spp. are small, nonmotile, non-spore-forming, bipolar staining gram-negative coccobacilli. Growth occurs aerobically at 37 °C in ordinary culture media and is enhanced by using blood- or serum-enriched agar under increased carbon dioxide tension. Among the Pasteurella spp. that can cause disease in humans, P multocida is the most common. Different species of Pasteurella may be distinguished by their biochemical reactions and their requirements for V factor. A localized infection occurs after inoculation of the microorganism in soft tissue or a joint space. It is characterized by polymorphonuclear leukocyte infiltrates followed by necrosis and, in some cases, by abscess formation. When bacteremia occurs, microabscesses may develop in multiple organs. Hours to days after direct contact with an animal (usually by way of a dog or cat bite), a soft tissue infection develops (Box 13). Patients complain of an acute onset of pain, erythema, and swelling at the site of inoculation, usually on the hand, leg, arm, or head and neck. Serosanguineous drainage occurs 1-2 days later. A low-grade fever and regional lymphadenopathy are commonly seen. Abscess formation and septic arthritis or osteomyelitis rarely complicate local infection of the extremity. Gram-negative bipolar bacilli appear on Gram stain of the drainage. Cultures of the organism confirm the diagnosis. After an animal bite, the differential diagnosis should include infection caused by anaerobes, staphylococci, streptococci, tularemia, and cat-scratch disease. Occasionally, P multocida may affect the respiratory system. These infections occur in persons who have frequent contact with animals. P multocida has been recovered from the sputum cultures of asymptomatic patients with chronic obstructive pulmonary disease and in these patients may cause pneumonia. Occasionally, pharyngitis occurs in patients with close contact with infected animals, especially cats. Rarely, P multocida may cause meningitis, sinusitis, pharyngeal abscess, otitis, empyema, peritonitis, pyelonephritis, surgical wound infection, and endocarditis. Associated bacteremia can occur with any organ infection. Animal bites need to be carefully assessed. Examination of the joints, tendons, and neurovascular axis of a limb is mandatory. Bite wounds should be cleaned with normal saline, and devitalized tissue should be debrided. If necessary, the tetanus toxoid vaccine should be administered, and potential exposure to rabies should be assessed. The microbiology of animal bites is polymicrobial and includes Pasteurella spp., staphylococci, streptococci, and anaerobes. Antimicrobial therapy should be active against these microorganisms (Box 14). Amoxicillin-clavulanic acid, cefuroxime, or doxycycline are effective therapy. Ciprofloxacin is effective against P multocida; however, it lacks activity against anaerobes, streptococci, and staphylococci. 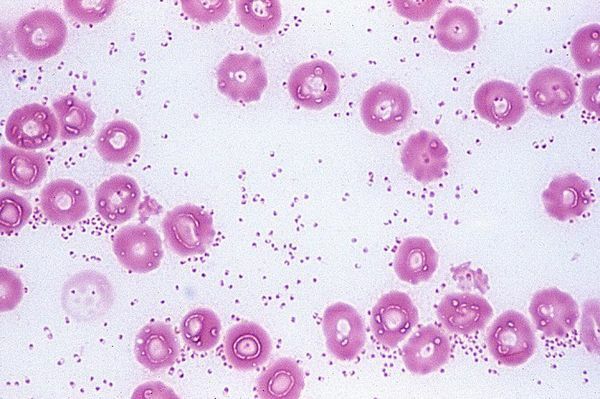 In patients unable to tolerate ß-lactams, doxycycline or combination therapy with ciprofloxacin and clindamycin is an effective alternative therapy for animal bites. In monomicrobial infection with P multocida, penicillin is the treatment of choice. Avoidance of contact with wild or domestic animals is probably the only means of preventing human P multocida infections (Box 15).